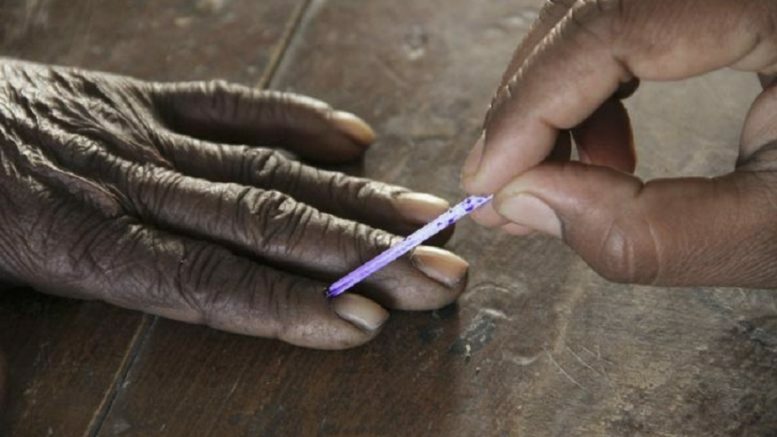 A total of 1.2 lakh people in Assam will not be able to exercise franchise in the upcoming Lok Sabha polls as they have been marked ‘D’ (Doubtful) voters, a senior Election Commission official said on Monday. However, those left out of the complete draft of the National Register of Citizens (NRC) will be able to vote if their names figure in the electoral rolls, Assam Chief Electoral Officer Mukesh Chandra Sahu said. There are 40.08 lakh people whose names have been left out of the complete draft of citizens’ register after including the names of 2.9 crore out of a total 3.3 crore applicants. The system of ‘D’ (dubious or doubtful) voters was introduced in 1997 by the Election Commission of India, which prepared a list by incorporating names of those who could not provide evidence in favour of their Indian nationality. ‘D’ voters were not allowed to vote in the 2014 General Election too. “Currently, we have 1.2 lakh ‘D’ voters on the revised poll rolls,” Sahu said. The existing draft roll was published on September 15, 2018 and the final roll released on February 6. “There has been a slight fall in the current number of ‘D’ voters due to disposing of court cases. The current figure is likely to change at the time of election,” he said. On security arrangements, Sahu said that 33 companies of central forces have already reached Assam and have been deployed at various places as a confidence-building measure. “More central forces will come to the state during the election. We have made a detailed security arrangement considering the sensibilities of different polling stations. Our state nodal police officer has already held meetings with the Ministry of Home Affairs on this,” he added. As per the last summary revision, over 2.17 crore voters, including at least 7.06 lakh first timers, will exercise their franchise in the three-phase elections in 14 Lok Sabha constituencies in Assam. The voting in Assam will take place in 28,143 polling stations on April 11, 18 and 23, EC sources said. In the first phase, voting will be held for Tezpur, Kaliabor, Jorhat, Dibrugarh and Lakhimpur constituencies at 9,574 polling stations where 75.16 lakh electorate will exercise their franchise. In the second phase on April 18, polling will be held in Karimganj (SC), Silchar, Autonomous District (ST), Mangaldoi and Nawgong constituencies where a total 68.36 lakh electorate will vote in 8,992 booths. Dhubri, Kokrajhar (ST), Barpeta and Gauhati seats will see elections in the last phase on April 23 in 9,577 polling stations where 74.08 lakh people will vote. There are also about 60,000 service voters, who are staying outside the state and will vote through postal ballot, the EC sources said. Be the first to comment on "1.2 lakh in Assam marked “doubtful” by poll panel, won’t be able to vote"